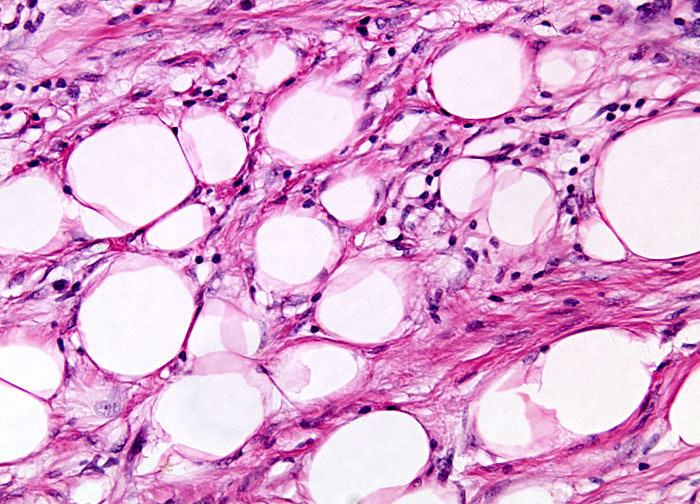 Malignant schwannomas can be difficult to diagnose, and are usually more than 5 centimeters in diameter by the time they are brought to the attention of a medical professional and identified. Similar to most other types of cancers, the tumors are treated with one or more of the following: surgery, chemotherapy, or radiotherapy. The five-year survival rate associated with malignant schwannomas is low, primarily due to poor response of the tumors to available treatments and metastasis to the lungs and other areas of the body. Patients that usually have the best outlook are those that are young and have relatively small tumors able to be completely removed via surgical means.